Aufhauser Nickel alloys are used in myriad specific and recognizable industrial and consumer products, including stainless steel, alnico magnets, coinage, rechargeable batteries, electric guitar strings, microphone capsules, and special alloys. Coated Electrode This is a 95Ni, 2.5Ti nickel alloy. It is used for welding wrought and cast forms of commercially pure nickel (nickel 200 and 201) to themselves and to steel (i.e., joining nickel to steel and surfacing steel with nickel). Typical specifications for this nickel base metal are ASTM B160, B161, B162, B163, all of which have UNS Numbers N02200 or N02201. Electrodes through the 1/8" size can be used in all positions. Electrodes larger than that are used only in the horizontal and flat positions. Similar to NickelAlloy 141. this is a 96 Ni, 3 Ti alloy. It is intended for welding wrought and cast forms of commercially pure nickel alloy (ASTM B160, B161, B162, B163, all of which have UNS Numbers N02200 or N02201) to itself using the GTAW, GMAW, SAW, and PAW processes. The filler metal contains sufficient titanium to control weld-metal porosity with these welding processes. This is a 66 Ni, 30 Cu, 3 Mn, 1 Fe alloy. It is used for welding nickel-copper alloys to themselves and to steel, for welding the clad side of joints in steel clad with a nickel-copper alloy, and for surfacing steel with nickel-copper alloy weld metal. Typical specs for the nickel-copper base metal are ASTM B127, B163, B164, B165, all of which have UNS Number N04400. Electrodes through the 1/8" size can be used in all positions. Alloy 400 to itself and to steel. Overlaying on steel with SAW. The nominal composition of weld metal of this classification is 65 Ni, 30 Cu, 3 Mn, 2 Ti. Filler metal of this class is used for welding nickel-copper alloy (ASTM B127, B163, B164, B165, all of which have UNS Number N04400) to itself using the GTAW, GMAW, SAW and PAW processes. The filler metal contains sufficient titanium to control porosity with these welding processes. Copper-nickel alloys and selected bronzes to themselves and to Alloy 400 or Alloy 200. Electrodes of the copper-nickel classification are used for shielded metal arc welding or wrought or cast 70/30, 80/20 and 90/10 copper-nickel alloys to themselves or to each other. They also are used for welding the clad side of copper-nickel clad steel. Preheating is generally not necessary. In copper-nickel filler metals, the nickel addition strengthens the weld metal and improves the corrosion resistance, particularly against salt water. The weld metal has good hot and cold ductility. Copper-nickel filler metals are used for welding most copper-nickel alloys. When using the GTAW or GMAW processes, preheating is not required. Welding is done in all positions. Inconel alloys 600 and 601, and Incoloy 800, to themselves and to carbon and stainless steels. Overlaying on steel. The nominal composition of weld metal produced by electrodes of this class is 65 Ni, 15 Cr, 8 Fe, 7.5 Mn, 2 Nb plus Ta. Electrodes of this classification are used for welding Ni-Cr-Fe alloys, for welding the clad side of joints on steel clad with Ni-Cr-Fe alloy, and for surfacing steel with Ni-Cr-Fe weld metal, when comparatively high manganese contents are not detrimental. The electrode may be used for applications at temperatures ranging from cryogenic to about 900°F. Typical specs for the Ni-Cr-Fe base metal are ASTM B163, B166, B167 and B168, all of which have UNS N06600. These electrodes can also be used for welding steel to other nickel-base alloys. Fewer fissures are permitted on the bend test for this weld metal than for weld metal of the ENiCrFe-1 and ENiCrFe-2 classifications. Electrodes through the 1/8" size can be welded in all positions; larger than that are used only in the horizontal and flat positions. Moderate creep service. Inconel alloy 600 and 601 and Incoloy 800 to themselves and to carbon and stainless steel. Overlaying on steel. The nominal composition of weld metal of this classification is 72 Ni, 20 Cr, 3 Mn, 2.5 Nb plus Ta. Filler metal of this class is used for welding Ni-Cr-Fe alloy (ASTM B163, B166, B167 and B168, all of which have UNS N06600) to itself, for the clad side of joints in steel clad with Ni-Cr-Fe alloy, for surfacing steel with Ni-Cr-Fe weld metal, for dissimilar welding of nickel-base alloys, and for joining steel to nickel-base alloys using the GTAW, GMAW, SAW, and PAW processes. Inconel and Incoloy alloys to stainless and carbon steels and Monel alloys. 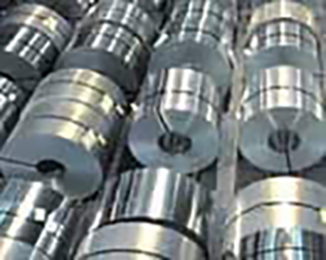 Monel alloys and Nickel 200 to stainless steels, stainless steels to carbon steels. The nominal composition of weld metal of this classification is 71 Ni, 16 Cr, 6 Fe, 3 Ti, 2.5 Mn. Filler metal of this class is used for cladding steel with Ni-Cr-Fe weld metal and for joining steel to nickel-base alloys using the GTAW, GMAW, SAW and PAW processes. The weld metal will age harden on heat treatment. Inconel alloy 690 and overlaying on steel, particularly for nuclear applications. The nominal composition of weld metal produced by electrodes of this class is 55 Ni, 29 Cr, 9.5 Fe, 3 Mn, 1.5 Nb plus Ta. Electrodes of this class are used for welding the Ni-Cr-Fe alloy of the UNS N06690. Typical specs for the Ni-Cr-Fe base metal are ASTM B166, B167 and B168. The electrodes may also be used for the welding of Ni-Cr-Fe alloys to steels and stainless steels, and for corrosion resistant overlays on steel. Inconel alloy 690 and overlaying on steel. Particularly for nuclear applications. The nominal composition of weld metal of this class is 60 Ni, 29 Cr, 9 Fe. Filler metal of this class is used for welding Ni-Cr-Fe alloy (ASTM B166, B167 and B168 having UNS N06690) to itself, to steels, to overlay on steels, and to weld steels clad with the Ni-Cr-Fe alloys using the GTAW, GMAW, SAW and PAW processes. The nominal composition of weld metal of this class is 61 Ni, 23 Cr, 14 Fe, 1.4 Al. Filler metal of this class is used for welding Ni-Cr-Fe-Al alloy (ASTM B166, B167, B168 having UNS N06601) to itself and to other high-temperature compositions using the GTAW process. It is used for severe applications where the exposure temperature can exceed 2100°F. Inconel alloys 671 and 690, overlaying. The nominal composition of weld metal of this class is 55 Ni, 44 Cr. Filler metal of this class is used for GTAW of 50/50 nickel/chromium alloy, cladding nickel/chromium alloy onto Ni-Fe-Cr tubing, and casting repair. The filler metal is resistant to high temperature corrosion, including fuel-ash corrosion in atmospheres containing sulfur and vanadium. Used for Brightray electrical resistance alloys, Inconel alloy 600, Incoloy alloy DS and Nimonic alloy 75 to themselves and to each other. Inconel alloy 625, incoloy alloy 825, inco alloy 25-6mo, and monel alloy 400; superaustenitics and inco alloy 400. Dissimilar welding of nickel alloys and stainless steels. Overlaying. The composition of weld metal produced by electrodes of this class is 60 Ni, 22 Cr, 9 Mo, 5 Fe, 3.5 Nb plus Ta. Electrodes of this classification are used for welding Ni-Cr-Mo alloys to themselves and to steel, and for surfacing steel with Ni-Cr-Mo weld metal. These electrodes also can be used for welding nickel base alloys to steel. The electrodes are used in applications where the temperature ranges from cryogenic to 1000°F. Typical specs have the UNS N06625. The nominal composition of weld metal of this class is 61 Ni, 22 Cr, 9 Mo, 3.5 Nb plus Ta. Used for welding alloys with UNS N06625 to itself, to steel, to other nickel base alloys, for cladding steel with nickel-chromium molybdenum weld metal, and for welding the clad side of joints in steel with Ni-Cr-Mo alloy using the GTAW, GMAW, SAW, and PAW processes. Temperature range is the same as above. Inco Alloy C-276 and other Ni-Cr-Mo corrosion resisting alloys. Alloy clad steel. Overlaying steel. The nominal composition of weld metal of this class is 57 Ni, 16 Cr, 15.5 Mo, 5.5 Fe, 4 W. Used for welding Ni-Cr-Mo metals with UNS N10276 to itself, to steel, to other nickel base alloys, and for cladding steel with Ni-Cr-Mo weld metal using the GTAW and GMAW processes. Only used in flat position. Inconel alloy 622 and other Ni-Cr-Mo corrosion resisting alloys, clad steels, duplex, super-duplex and super austenitic stainless steels. Overlaying on steel. The nominal composition of weld metal produced by electrodes of this class is 56 Ni, 22 Cr, 13 Mo, 4 Fe, 3 W. Used for welding Ni-Cr-Mo alloys, for the welding of the clad side of joints in steel clad with Ni-Cr-Mo alloy, to steel and to their nickel base alloys. and for joining Ni-Cr-Mo alloys. Typical specs are base metals are those with UNS N06022. Larger than 1/8", weld only in flat position. The nominal composition of weld metal produced by electrodes of this class is 56 Ni, 22 Cr, 13 Mo, 4 Fe, 3 W. Used for welding base metals UNS N06022 to itself, to steel and to other nickel base alloys. And for cladding steel with Ni-Cr-Mo weld metal using the GTAW, GMAW and PAW processes. Inconel Alloy 686 and other Ni-Cr-Mo corrosion resisting alloys. Alloy clad steel. Overlaying on steel. The nominal composition of weld metal produced by this class is 57 Ni, 21 Cr, 16 Mo, 4 W. Welding Ni-Cr-Mo with UNS N06686 to itself, to steel, to other nickel base alloys and for cladding steel using the GTAW, GMAW, and SAW processes. Electrode: Applications subjected to severe corrosion where resistance to reducing, oxidizing, crevice and pitting conditions is required. It is recommended for corrosion resistant overlay cladding of iron base metals for the same environments. Inconel Alloy 725, Incoloy alloy 925 and high strength, low-alloy steels. Heat treatable. Overlaying on steel. The nominal composition of weld metal produced by this class is 57 Ni, 21 Cr, 8 Mo, 3 Nb plus Ta, 1.4 Ti. Filler metal of these specifications is used for welding Ni-Cr-Mo alloys with UNS N07725 to itself, and for cladding steel using the GMAW and GTAW processes. The weld metal hardens on heat treatment. Severe creep resistance. Inconel alloy 617, incoloy alloys 800, 800H, 800HT, and 803, HP 45 and other cast resisting alloys and dissimilar metals for high temperature service up to 2100°F. The nominal composition of weld metal of this class is 53 Ni, 23 Cr, 12 Co, 9 Mo and 1 Fe. Used for welding Ni-Cr-Co-Mo alloys UNS N06617 to itself using the GTAW and GMAW processes. With this extruded electrode, the weld deposit is predominantly nickel, hence the welds are hard, yet machinable. Excellent for joining, filling and buildup of all special cast irons. Exceed specs. for AWS ENiCI. The weld deposit contains less nickel than #99 and is more easily machinable. The arc is stable, bead shape is excellent and the deposits are smooth and uniform. The narrow weld fusion zone reduces the hard areas of the HAZ to a minimum. Exceeds specs for AWS ENiFeCI. Nickel-Copper alloy electrode. High strength, corrosion resistant electrode for welding wrought and cast forms of commercially pure nickel; joining nickel alloys to steel; surfacing steel with nickel, etc. Aufhauser 42 is widely used in the chemical, food, dairy and oil refining industries (but is not recommended where sulfur or lead are present). Nickel-Chromium alloy electrode. Universal electrode for welding nickel-copper alloys; joining nickel-copper alloys to steel; welding the clad side of nickel-copper alloy clad steel; and surfacing steel with nickel-copper alloy. It is excellent on applications requiring corrosion and/or heat resistance.